The most acclaimed motion picture of 1985 stars Robert Redford and Meryl Streep in one of the screen's great epic romances. Directed by Oscar winner Sydney Pollack, Out of Africa is the fascinating true story of Karen Blixen, a strong-willed woman who, with her philandering husband (Klaus Maria Brandauer), runs a coffee plantation in Kenya, circa 1914. To her astonishment, she soon discovers herself falling in love with the land, its people and a mysterious white hunter (Redford). The masterfully crafted, breathtakingly produced story of love and loss earned Oscars for Best Picture, Director, Screenplay (based on material from another medium), Cinematography, Original Score, Art Direction (Set Decoration) and Sound. I LOVE that this movie is based on a true story. It's a timeless classic, with two of my all time favorite actors. Meryl Streep and Robert Redford are irreplaceable in this film. It has become one of my ALL TIME FAVORITE movies and love stories. I've been in love with this movie since I was in my 20's and I'm now in my early 40's and I can watch it time and time again. 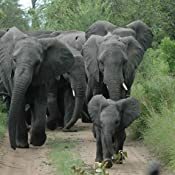 I enjoyed it so much that I bought the book, 'Out of Africa' by Karen Christenze Dinesen, as well as, a compilation of letters from her time in Africa. These letters were mainly between her and Denys Finch Hatton. She was an amazing and respected woman. There's a city named after her in Kenya, Africa: Karen, Nairobi, Kenya. She also has a museum, a boys school, a road etc named after her in Kenya. Her house in the movie looks Exactly like her real house, which has been turned into a museum. In terms of its cinematography, this in one on the most breathtakingly beautiful movies ever filmed. It does the African landscape justice. It rightly won an Academy AWard in 1986 for Best Cinematography, as well as for Best Picture and Best Screenplay. The autobiography of Danish citizen, Karen Von Blixen, a baroness by marriage, is brought to life by a wonderful screenplay, a great cast, and deft direction. Meryl Streep gives the performance of a lifetime as Karen, who moves to pre-World War l Africa to run a farm that she owns in Kenya, which is subsequently turned into a coffee plantation by her husband. There, she encounters some difficulties, primarily with her husband. When he causes her to undergo a life changing event, for which she alone pays the price, things will never be the same. Yet, she ultimately finds the love of her life in Denys Finch-Hatton, a solitary hunter, who returns her affection. Therein lies the tale. Really, Meryl Streep's performance is astonishing, beautifully nuanced. Her Danish accent never misses a beat. Klaus Maria Brandauer gives a wonderful performance as her husband, the Baron. Robert Redford, as Denys, is heartbreakingly handsome. His performance passes muster, but he basically plays himself, American accent and all, as in reality Denys Finch-Hatton was an English aristocrat, the second son of an earl. The rest of the cast, however, more than makes up for this lapse. Those who enjoy autobiographical films, or simply beautiful films with some memorable performances, should enjoy this film, if only for Meryl Streep's bravura performance. Though nominated for an Academy Award for Best Actress, she lost to Geraldine Page. All I can say is that she was robbed! Set in Kenya, the classic 1985 Sydney Pollack film starred Meryl Streep and Robert Redford, winning many awards. Among these, John Barry’s award for ‘Best Original Score’ and David Watkin's award for 'Best Cinematography’ are most memorable. Kenya ‘between the wars’ has attracted the interest of writers and readers for a long time, because of the larger-than-life presence of wealthy Danish emigré Karen Blixen, who wrote under the pseudonym Isak Dinesen, authoring “Out of Africa,” a memoir describing her life in British East Africa (now Kenya), where she owned and managed a 4,000-acre coffee plantation near Nairobi. A melodramatic romance set within stunning African vistas. 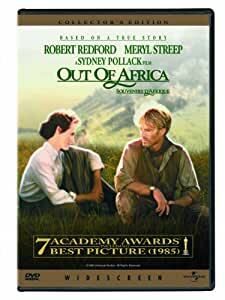 Out of Africa (1985) is Sydney Pollack's epic romance film. Pollack's beautiful direction keeps you engaged in each individual scene alongside the remarkable cinematography. Some of the wide shots looked a little out of focus and Pollack oddly chose a few green screen shots instead of the gorgeous African landscape in all its natural beauty. The plane sequence is particularly lovely to look at set to John Barry's dreamy score. Out of Africa is far too slowly paced for a movie of this tremendous length. It's a nice romance film despite the daunting length. Pollack could easily have cut this feature down with some clever editing. The romance is the key to Out of Africa. Meryl Streep is the star here as Karen Blixen. Her Danish accent is perfect and quite convincing. I forgot, as I watched Out of Africa, that she is not Danish by birth. It's really impressive. Her dramatic acting is of a higher caliber than the rest of the film's melodrama. She realistically portrays an unhappy wife and a longing divorcee. Similarly, Robert Redford starts out as charming as Denys Finch Hatton, then leads into a man unsatisfied with routine and leaves later on. As impressed as I am by Redford's captivating performance, I wish he was in the first half more, as he is hardly present until the second half of Out of Africa, then suddenly he's always there, then he leaves. It's an uneven balance as you wish Redford had a bigger role. Streep carries Out of Africa. As I stated, you believe in the romance of Out of Africa. The pretty setting, atmospheric music, biting dialogue, and grounded romance keeps you intrigued. Unfortunately, Out of Africa is merely a romance. The drama struggles of Streep's character living alone feel secondary at best. The racial and gender struggles of Africa in this period film feel background issues at most. Out of Africa is a massive undertaking with little to say about the larger cultural issues brought up throughout Out of Africa. Next, the supporting roles in Out of Africa vary in greatness. Klaus Maria Brandauer is interesting as the philandering and negligent husband Baron Bror Blixen-Finecke. He definitely is underutilized as he actually disappears halfway into Out of Africa. Malick Bowens is excellent as Faran. His friendship and kindness to Streep's leading lady feel the most real relationship in Out of Africa in the end. Bowens plays it with a subtle knowledge and understanding as the servant and translator. Lastly, Suzanna Hamilton is charming as Felicity, though faintly remarkable due to the fact that she also disappears until towards the end of Out of Africa. In all, Out of Africa uses Streep and Redford well while they are on screen together, but the unbalanced structure leaves you bored in many parts. Pollack's direction feels languid instead of innovative. The natural African backdrop is always inviting, but the clear animal cruelty is distracting. I like the romance, but I'll leave the melodrama in Out of Africa.